Our business began in the late 1960’s by Jay’s parents, Ivan and Esther Burkholder. As the beginning of the school year drew near, some extra cash was needed. 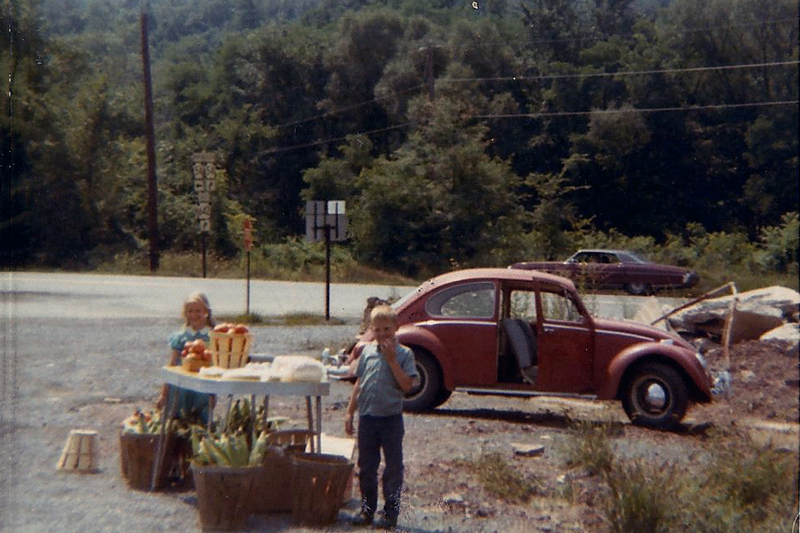 The family garden had produced well that year so the Burkholder’s set up a small roadside stand. 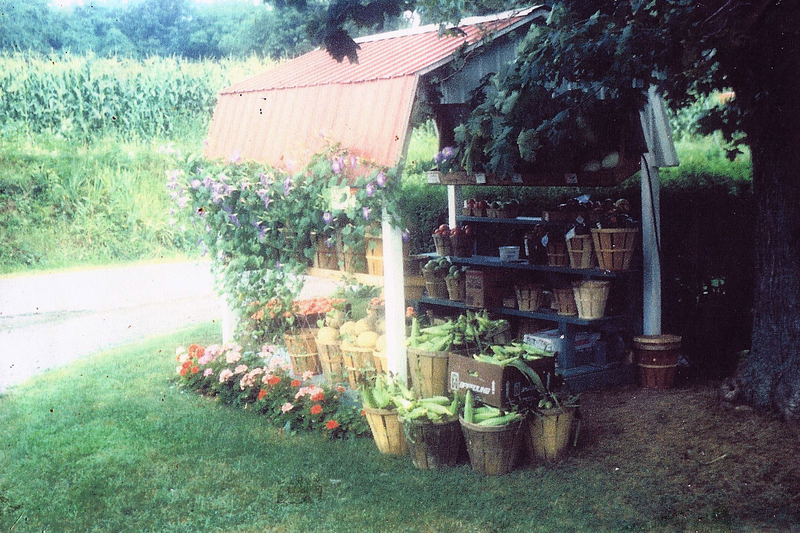 This stand, consisting of a table and a chair on which the fresh vegetables were displayed, was placed on the corner of the Route 54 and Route 254 intersection in Washingtonville. Business went so well for Ivan and Esther that they decided to sell their produce at this same spot the next summer. 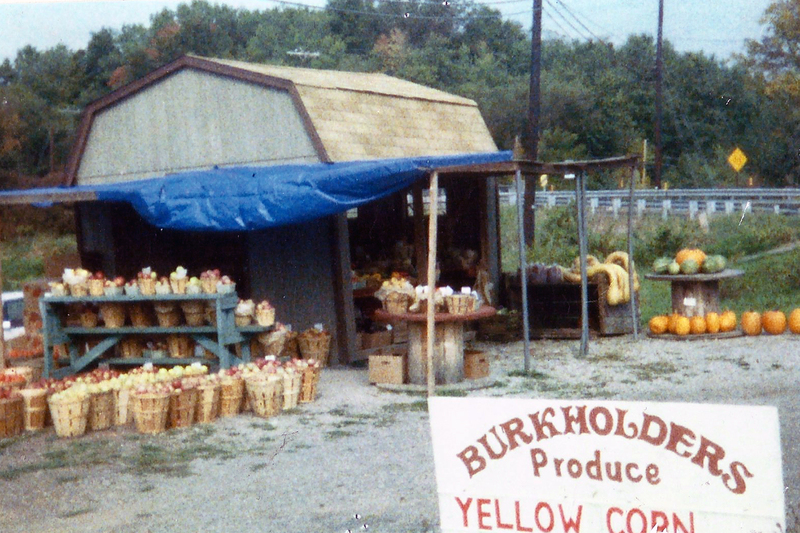 As time went on, a small stand was built at the Burkholder’s farm on Mexico Road. Eventually Ivan built a mini barn and put it up again at the Route 54 and Route 254 intersection, in addition to their stand on Mexico Road. Now the family could sell produce on a larger scale. 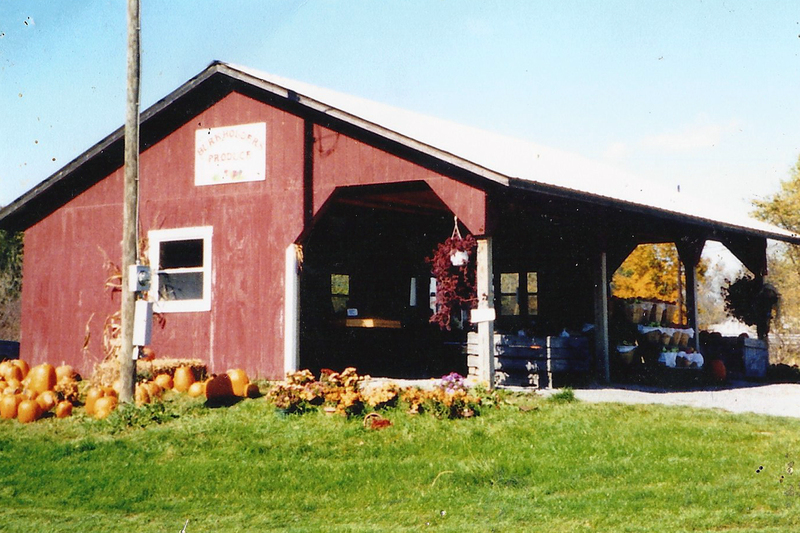 Above is the stand built at the farm and below is the mini-barn built at Route 54 and Route 254. In January 1992, Ivan Burkholder was killed in an accident. After this tragedy, Ivan’s and Esther’s son Jay and his family stepped in to help his mother keep the business operating. That same year the family erected a more permanent building. The business continued to grow and in 1999 the present structure was built to keep up with the growing business. We also added a small amount of bulk foods that year. 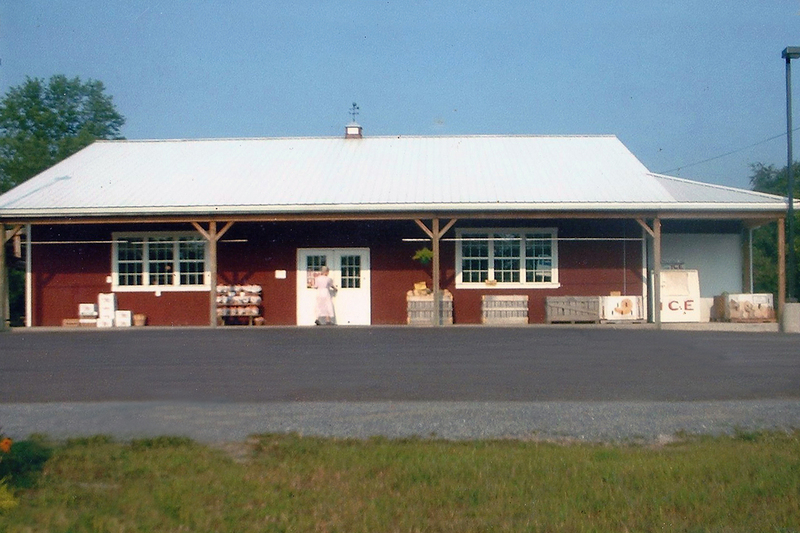 In the spring of 2000 we opened our deli and also added a larger line of bulk foods. Since that time we’ve added our subs, sandwiches, soup and ice cream cones. The building was expanded to include a refrigerator / freezer unit and a greenhouse area. In 2011, a much needed warehouse area was added in the back of the store. God has been so good to us over the years! To you our customers, thank you for your patronage and support through the years.